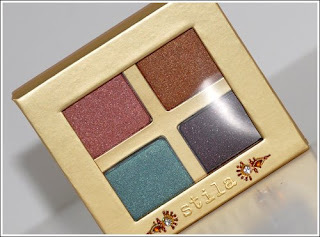 Sephora is running a fantastic promo, the first 1500 people to order Stila's new Indian Summer Palette get it for the bargain price of $10, usually it is $28. This is a STEAL! Use Promo Code URBANLAB for a free sample of Urban Decay Primer Potion. Are you going to order it? I did!! What a great deal, a great palette and a sample size UDPP for $10. This palette is so gorgeous, and the price very attractive !! Darn i'm in the UK - I am always gutted when I hear of deals like this i.e the MAC sale. I ordered!!! The colors are gorgeous! I just did...thanks for the link. what a deal!!! 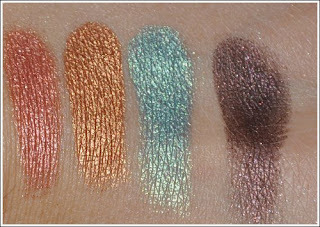 What beautiful colours in that palette - Sephora needs to come to Australia - ASAP! OH MY EFFIN GOODNESS, what a great deal. Thanks for the heads up belle!!!! those colour are really nice, btw ive tagged you! !